With TIMTOS 2019 — the world’s third-largest machine tool exhibition — set to take place in March in Taipei, Machinery Market was recently invited by the Taiwan External Trade Development Council (TAITRA) to take part in a press to visit some of the country’s leading machine tool manufacturers and see how they are developing products to compete in the rapidly developing world of Industry 4.0. With this transformation happening world-wide, providing the right machinery for manufacturers to deliver greater value to customers — through improved productivity and competitiveness — will be crucial to ensuring that Taiwanese machinery remains a key player in the global machine tool market. A small island economy, Taiwan makes machine tools and accessories of which 80% — valued at nearly $5 billion annually — are for export markets. It has a highly competitive machine tool industry that includes the unique Dadu Plateau or ‘Golden Valley’ in the Taichung region — an area 60km long x 14km wide that is home to over 1,000 precision machinery manufacturers and over 10,000 downstream suppliers (the highest density of any machine tool industry cluster in the world). It employs more than 300,000 people and plays an important role in the world-wide manufacturing-machinery supply chain. Taiwanese machines are highly regarded, and they are used by leading automotive-part manufacturers around the world, including the USA, Germany and Italy. Meanwhile, China — the world’s largest automotive market — uses Taiwan-built machines in its mould-processing factories. To help Taiwan’s industrial base to develop innovative new products, the Industrial Technology Research Institute (ITRI) — a not-for-profit R&D organisation engaging in applied research and technical services — was set up in 1973. ITRI is dedicated to helping industries stay competitive and has nurtured more than 240 companies, including well-known global semiconductor leaders such as TSMC and UMC. A ‘Smart Machinery Promotion Office’ was established in Taichung in 2017 to help Taiwanese companies with R&D, and this led to the creation of the Intelligent Manufacturing Pilot Production Site (IMPPS) early last year — to demonstrate full-scale intelligent manufacturing and to help industry make the transition to ‘smart machinery’. The IMPPS also has the scope to provide total solutions for machine design, process development and software systems — and to act as a test bed for further research projects. It already has an impressive line-up of international partners, including Dassault Systems, Siemens, Mitsubishi, Rockwell and Microsoft, which are showcasing their latest technologies at the IMPPS and using it as a base to collaborate on total solutions for industry. Technologies developed at the pilot site will be shared with Taiwan’s machine tool manufacturers to boost the domestic market. Sensors, big data and automation were the buzz words at all the Taiwanese companies visited — each one investing substantial amounts in R&D to optimise its products and make them Industry 4.0-compliant. Many machine tool manufacturers are now fitting sensors in their machines and collecting huge amounts of data, which is stored in the ‘cloud’ and can be used to build up a detailed picture of what is going on inside a machine. This data is analysed to spot trends, anomalies and errors, which operators can use to improve processes within a factory, minimising down-time and increasing output. Taichung-based Hiwin Technologies Corp (www.hiwin.com), one of the world’s leading motion control and system technology manufacturers, is engaged in the R&D, design, manufacture and distribution of ballscrews, linear guides, cross roller bearings and industrial robots. It supplies precision critical components to many high-tech industry sectors, including machine tools, medical equipment, material handling, automotive and renewable energy. In 1997, the company launched an affiliate company called Hiwin Mikrosystem, which makes servo motors, torque motors, linear motors, drives and linear actuators. As a result, it can supply critical components, sub-systems or a total solution. It is currently developing a next-generation intelligent ballscrew that will be Industry 4.0-compliant and have the potential to revolutionise the market. The ballscrew has a built-in sensor, so users can monitor its efficiency by detecting its pre-load condition, temperature differences, vibrations and lubrication frequencies. These can all be monitored via an ‘app’ on a mobile device to maximise production levels. Hiwin also has a range of single-axis robots, which use a combination of motor-driven ballscrew or belt and linear-guideway systems. These compact and lightweight units are customisable and can be easily transformed into a multi-axis system, making them suitable for a wide range of industrial applications. Depending on the application needs, Hiwin also offers a single-axis robot that will increase a system’s productivity and efficiency. Hiwin’s six-axis articulated robots with absolute encoders can be used when complex motions, faster cycle time and high repeatability are priorities. They offer unlimited orientations and point combinations, while maintaining up to 20µm repeatability. Applications include pick-and-place, part handling, assembly, light machining, inspection, scanning and many more. The company can supply complete solutions, with an electric gripper, adapter plate, controller and teach pendant. Hiwin is represented in the UK by Matrix Machine Tool Coventry (www.matrix-machine.com) which it acquired in 2010. Taoyuan City-based Delta Group (www.deltaww.com), founded in 1971, is a global provider of power and thermal management solutions. The company has focused on automation technology since 1995, and it offers some of the most energy-efficient power products in the industry. It makes a wide range of automation products, including AC motor drives, servo drive systems, power quality improvement devices, sensors, programmable logic controls, motion control, human machine interfaces and meters, plus industrial control and monitoring equipment. Delta Group invests 6-7% of its annual sales revenues in R&D and has R&D facilities in China, Europe, Japan, Singapore and the USA. Its industrial automation solutions are used in a broad range of machinery in sectors that include metal processing, food, textiles, electronics, plastics, woodworking and machine tools. 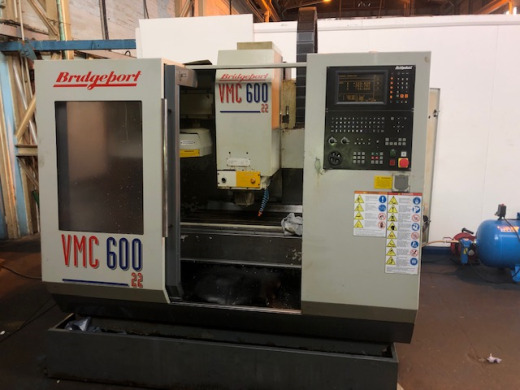 Founded in 1954, YCM (Yeong Chin Machinery Industries Co Ltd) (www.ycmcnc.com) specialises in the manufacture of machine tools renowned for their superior precision, outstanding rigidity and exceptional reliability. The company is unique in Taiwan in that it operates its own foundry, so it can manage the entire manufacturing process (with rigorous quality control in all areas). In response to the advent of Industry 4.0, the company has made great efforts to integrate smart machines and automation into its own factory. It can make complete production lines that include vertical machining centres, horizontal machining centres, CNC turning centres and five-axis double-column vertical machining centres. YCM can provide a total solution based on the components, machine, jig/fixture and even IoT platform to optimise a customer’s production. The company is also developing multi-axis and multi-functional machining centres with smaller footprints to enable customers ’to make more with less’. The full YCM range is available in the UK from Yeovil-based YMT Ltd (www.ymtltd.co.uk). Taiwan is also home to FFG (Fair Friend Group) (www.feeler.com), which has three main divisions: machine tools; industry equipment; and green energy. The Taichung City-based company was established in 1979 and has grown to become the largest machining-centre manufacturer in South East Asia. Headed up by Jimmy Chu, it operates 50 manufacturing facilities in 10 countries world-wide and has 37 world-leading brands under its umbrella, including SNK, Jobs, SMS, Hessapp, MAG and Pfiffner. It counts many ‘blue chip’ companies among its customers, including NASA, Boeing and many of the global automotive giants. FFG has been making CNC machine tools under the Feeler brand in Taiwan since 1985, and the first moving-column vertical machining centre came off the production line the following year. Today, the range includes horizontal boring mills, vertical machining centres, horizontal machining centres and a line-up of five-axis milling and mill-turn lathes. A recent addition to the Feeler range is the U-800 five-axis machining centre for high-precision machining and fine finishes, targeting the aerospace, automotive, energy and precision moulds industries. Winner of the 2018 Taiwan Excellence Gold Award, this machine features a gantry-type structure, a large machining space enabling easy loading and unloading of large workpieces, and a U-shaped structure that increases structural rigidity and accuracy. Feeler machines are available in the UK through Rugby-based TDT Technology (www.tdt-technology.co.uk). FCS Group (Fu Chin Shin Machinery Manufacture Co Ltd) (www.fcs.com.tw), established in 1974, is the leading manufacturer of plastic injection moulding machines in Taiwan. As well as having a production plant in Tainan City, the company has two further plants in China and builds over 3,000 machines each year. It makes a large range of injection moulding machines (from 30-3,700 tonnes) and has a network of agents world-wide. On the Industry 4.0 front, FCS Group launched its iMF 4.0 (Intelligent ManuFactory) smart manufacturing system last year and set up a demonstration factory at its Tainan facility. Well received in the market, this system combines mould management, machine management and material management, and it uses the OPC international communication protocol to enable instant display of overall equipment efficiency (OEE). The user is in control of the production process at all times and — with the software’s analysis and optimisation features — can improve efficiency, reduce waste and deal with any production anomalies. iMF4.0 can also be used to monitor the state of equipment globally, enabling off-site production management. FCS injection moulding machines are available in the UK from Derby-based IMM Technical (www.immtechnical.co.uk). Taoyuan City-based SEYI (Shieh Yih) is a world-leading manufacturer of servo and mechanical presses from 25 to 4,000 tons. Its largest customers are metal part and component manufacturers serving many industry sectors, including automotive, aerospace and medical. The company’s impressive growth is built on servo technology, automated production and intelligent manufacturing. It is focused on providing high-productivity servo presses that meet environmental protection requirements, up-sized press production lines and automated peripheral systems. SEYI’s presses are being used by automotive manufacturers in Germany and the USA; they are also delivering excellent results in a wide range of applications world-wide. SEYI opened a European Technical Centre in Frankfurt at the end of last year; it is represented in the UK by Walsall-based Presscare UK Ltd (www.presscare.co.uk). Founded in 1969, Tongtai is now one of the world’s leading machine tool manufacturers. From its 39,500m2 factory in Kaohsiung City, the company produces a comprehensive range of high-quality machine tools, including vertical machining centres, horizontal machining centres, horizontal boring mills, CNC turning centres and vertical turning lathes. Tongtai’s turn-key solutions include management of the entire machine manufacturing process, from choosing machine configurations to construction and performance optimisation. It has also established Tongtai Technical Application Centers in Taiwan, China, Switzerland, Malaysia, Thailand and other locations, to provide advanced machining technologies, machining solutions and trial operation for its customers. 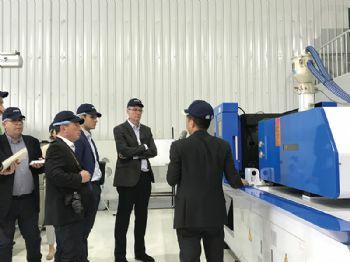 The company has also developed equipment for additive and hybrid additive-subtractive manufacturing, plus the TIMS (Tongtai Intelligence Manufacturing System) and Tongtai Line Management solutions, allowing operators to easily control production and improve efficiency. The company has a world-wide customer base in many industry sectors, including aerospace, automotive, electronics, mould and general part machining. It has established branches in China, Malaysia, Thailand, the Netherlands and other countries to improve its local service capabilities and boost sales. Tongtai is also represented by a sales and service network of more than 60 overseas companies. Its machines are available in the UK and Ireland from Matchmaker CNC (www.matchmakercnc.co.uk). Taichung-based Goodway (Goodway Machine Corp) (www.goodwaycnc.com) was established in 1975 and originally specialised in providing a contract machining service, manufacturing bench lathes and high-speed high-precision lathes. In 1982, in response to market trends, the company started to design and manufacture CNC lathes. In 1987, the successful launch of the GCL-2 series broke records in Taiwan for Goodway, and the machine has sold more than 10,000 units world-wide. In recent years, the company has become one of the largest manufacturers of CNC machine tools in Taiwan and has expanded its marketing channels in 45 countries. Its range now includes multi-tasking machines, vertical turning centres, horizontal turning centres and Swiss-type machines. In 2015, Goodway added internal/cylindrical grinding machines to its range. The company has three factories in Taiwan and one in China, plus sales and service offices in the USA and China. In response to Industry 4.0, Goodway has introduced the next-generation G.Linc control. This is an intelligent front-end HMI system, which has a 21in LCD monitor with a capacitive multi-touch screen for intuitive and flexible operation. It can be used for programming, it has built-in intelligence to monitor the smooth operation of the machine and avoid collisions, and it has a diagnostic function to quickly solve any issues and avoid down-time. Goodway machines are distributed in the UK by YMT Ltd (www.ymtltd.co.uk). Taoyuan City-based Techman Robot (www.tm-robot.com), a subsidiary of Quanta Storage Inc, was established in 2012 with the aim of revolutionising the collaborative robot (cobot) market (and to be at the core of Industry 4.0). Guided by chairman Ho Shi-Chi, the company has managed to develop the world’s first cobot with built-in vision as standard, which makes it very user-friendly and safe for people to work alongside (without the need for safety guards). The company now markets a range of cobots which can achieve human-machine collaboration by combining its safe robotics technology, simple user interface and smart integrated vision system — increasing efficiency and reducing costs for customers. The cobots can be used in a wide range of industries but are particularly targeted at electronic assembly and metal processing. They come with TM’s plug-and-play facility as standard to easily integrate with third-party peripherals. FEMCO (Far East Machinery Co Ltd) (www.femco.com.tw) was established in 1949 as a small bicycle-wheel rim factory and has rapidly grown into one of Taiwan’s leading machine tool companies. It has five major operating divisions and a world-wide sales network spanning 30 countries. Its machine tool division makes CNC lathes, CNC vertical lathes, wheel lathes and CNC horizontal boring and milling machines. The brand is renowned for high-precision, high-performance and robust machines at a cost-competitive price. FEMCO works with its customers to tailor solutions for their specific needs. With the onset of Industry 4.0, the company has successfully developed an automatic virtual metrology system (AVM) for wheel machining. This is designed to provide real-time measurements to assist the production of high-quality wheels and reduce defect rates. An aluminium rim automatic production with AVM is currently being trialled at the IMPPS.